How can Battalion 1944 make it to the top of the FPS pile? 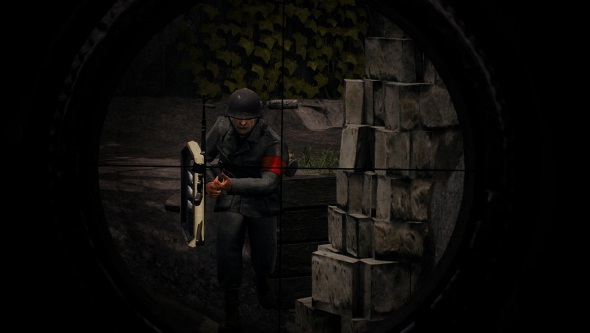 Available now in Steam Early Access, Battalion 1944 is a World War II shooter with grand ambitions behind it to disrupt and diversify the multiplayer FPS space. Given the success and familiarity of the major players in this genre – from Call of Duty to Battlefield, Overwatch to Team Fortress – such a goal is no small undertaking for Bulkhead Interactive, a tiny team based in the English Midlands. There is a big question to answer now this game is available to all, then. What does Battalion 1944 need to do to make its mark on a genre dominated by some of the biggest names in gaming history? Do we have a new contender for the best FPS games on PC? Maybe. One of Battalion 1944’s most striking features is a movement system that prioritises accuracy and celebrates skill. Gone are the overly long and cumbersome animation systems inherent to the likes of modern Call of Duty and Battlefield releases, which make climbing, switching weapons, using gadgets et al longer processes than you would like in the heat of battle. 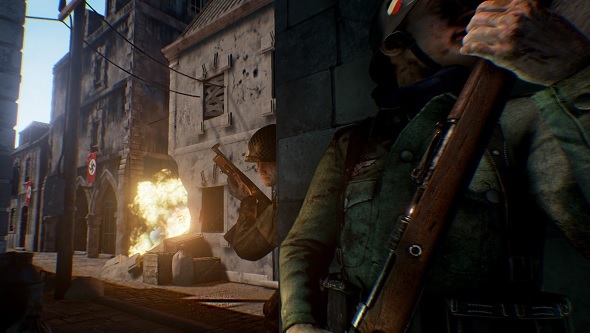 Much of the pre-release noise around Battalion 1944 has centred on the dev team’s appreciation of the likes of Call of Duty 2, Medal of Honor, Counter-Strike, and the influence taken from them. 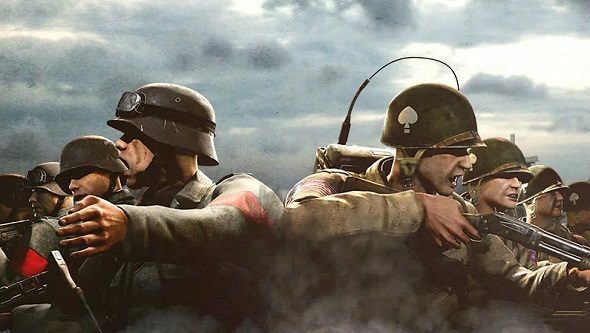 However, that same team also speaks about how they want to provide an alternative for today’s Call of Duty: WWII and Battlefield 1 players. Those who enjoy the trappings of these modern games are going to be actively put off by the ‘old-school’ label. It might be a better idea to cease suggesting that Battalion 1944 is an experience that harks back to yesteryear and instead allow today’s players to come to the game with a clear, unbiased head. Some players will have a negative view of the game based solely on any suggestion of ‘old’, even if the mechanics themselves are ones that they would otherwise enjoy. There are few ways of supporting genre diversification that are more impactful than allowing and supporting mod culture. Not only does it empower the community and allow them a sense of ownership over something they enjoy, it also opens the door for bold new ideas and even whole new genres – think PUBG, DayZ, and even Counter-Strike. This kind of openness on the developer side is, theoretically, easier to embrace for an indie studio than it is for the large, slow-moving behemoths behind Call of Duty or Battlefield circa 2018. As such, this is a clear means for the small team to set Battalion 1944 apart from its competition. We all know that Twitch is a powerful force in today’s landscape, not least for a game with the kind of esports ambitions harboured by Battalion 1944’s devs. For many, watching games being played at a high level is a more enticing proposition than the playing itself. 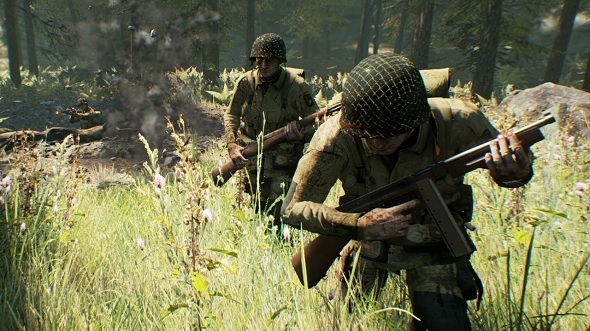 As such, to be enticing to – and become respected by – pro players and teams, the Battalion 1944 devs need to ensure that it is a game that people want to watch. This means quality camera options for directors to broadcast matches with ease, clear graphic grammar when it comes to map design, muzzle flashes, team/player indicators, and a general embrace of a visual language designed with the audience in mind. Given the rush of players that have flocked to the game at launch, Bulkhead now have a very real opportunity to make their mark on what is a notoriously competitive genre.